Cherrystone Auctions turned 50 this year, with age showing that they are one of the oldest stamp auction houses in New York City. The family owned and managed company celebrated its 50th birthday with its customers and partners in the philatelic industry. 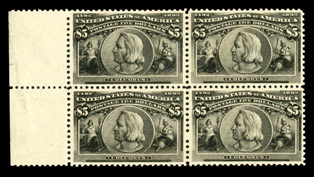 Cherrystone Auctions, Inc. has been in the stamp collection business for the last 50 years. During its semi-centennial celebrations in its headquarters in New York City late this year, the philatelic firm received a stream of birthday wishes from its storefront and online client base and also from the many organizations it partners with in the philatelic industry. To commemorate this incredible milestone, the company reminisced some of its accomplishments in its 50-year run. Cherrystone Auctions reaffirmed its commitment to exemplary customer service and the realization of high returns for all consigned materials. The company continues to host public auctions in its New York gallery every 6-8 weeks. This year alone, the firm has organized a total of seven public stamp sales.